Garrett Industrial Systems features Technical Sales assistance in the southern half of the U.S. from Arizona to Georgia, for a variety of specialized waste treatment skid packages. We specialize in providing designed, manufactured and engineered, pre-packaged, turn-key, skid-mounted process equipment, including bio-waste, water, wastewater and chemical waste treatment systems, pump lift stations, buffer systems and collection cabinets. Pre-packaged systems such as these offer our clients many benefits. IPEC Waste Treatment Systems are available from Garrett Industrial Systems to deactivate liquid biological effluent prior to discharge. Depending on your process and regulations, waste can be thermally and/or chemically treated in a batch or continuous process. 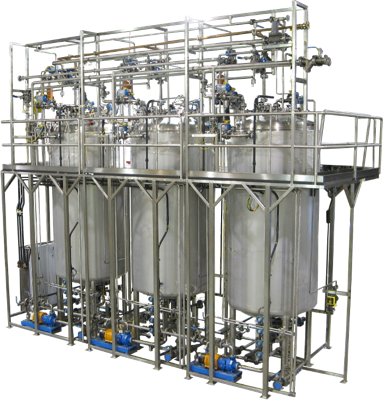 Batch systems collect and treat wastewater with heat, agitation, time, and/or chemicals, while continuous systems treat waste streams on demand with HTST-style processing and/or in-line chemical injection/neutralization. IPEC treatment systems are fully automated and customized with the instrumentation needed to monitor, confirm, and document your regulatory data. Our experienced engineers are available to assist and guide you through selection of a treatment technology and system design. 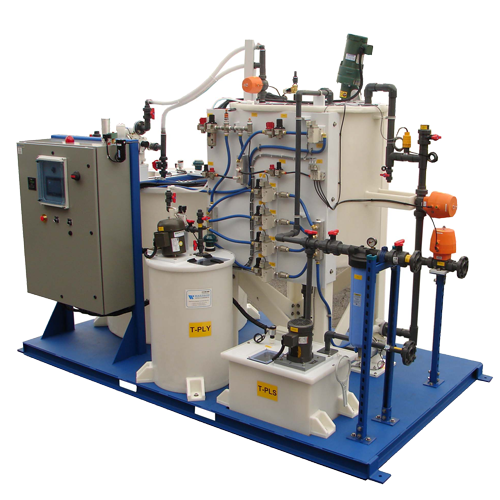 Garrett Industrial Systems provides a wide selection of WASTECH™ packaged wastewater treatment systems, automated chemical mixing skids, separation technology equipment, lift stations, and custom control panels for any industrial process, fluid/chemical handling or process automation requirement. 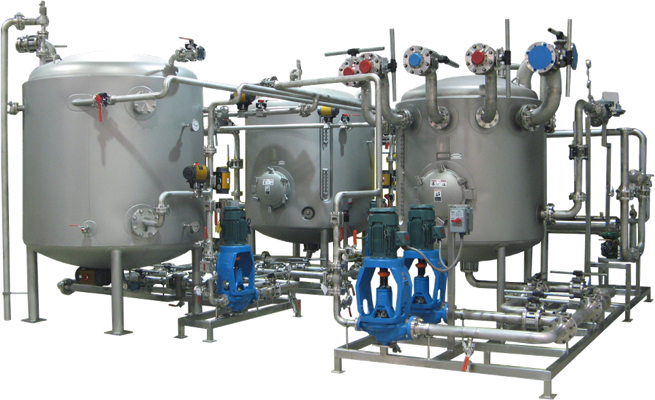 In addition to pump lift stations, we offer industrial and laboratory pH adjustment systems, process chilled water systems, chemical and solvent collection cabinets, Heavy Metal and Flouride removal systems, chemical dispense systems, acid neutralization systems, and more. We are a client-oriented company who provides turn-key solutions, including custom design and engineering, (mechanical, electrical and controls), fully developed CAD drawings, manufacturing, Factory Acceptance Testing (FAT) or On-Site Performance Acceptance Testing (SAT), complete documentation packages with O & M Manuals, and delivery services. We also offer available commissioning, installation supervision, operator training, and emergency service calls. Call us today 512-807-3669 or Request A Quote for information regarding your needs for any of our skid systems.